Hello everyone, and welcome to the Wordless Wednesday post for this week! We are getting an early jump on the post, but as always, special thanks goes out to my friend Deb from Focused on the Magic. She is an excellent host, and an even better person! Thanks Deb! 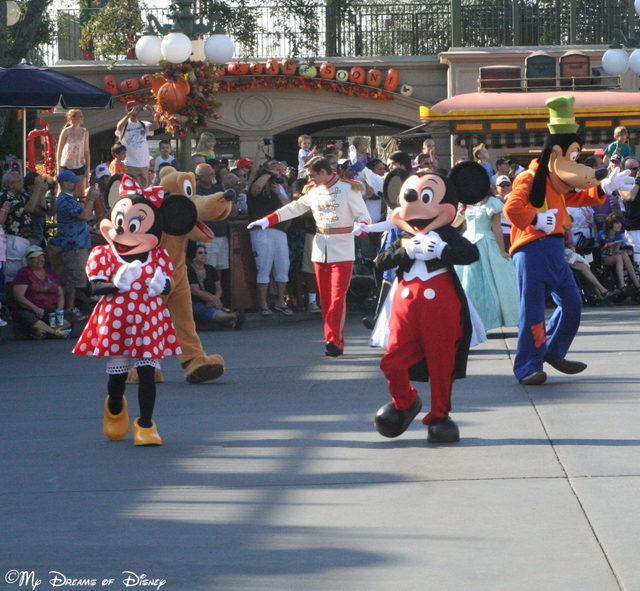 The theme this week is the “Disney Letter P” — and what better thing to focus on in my mind than Parades! As a result, I’m sharing with you some of my favorite parade photos from Walt Disney World! I hope you enjoy. 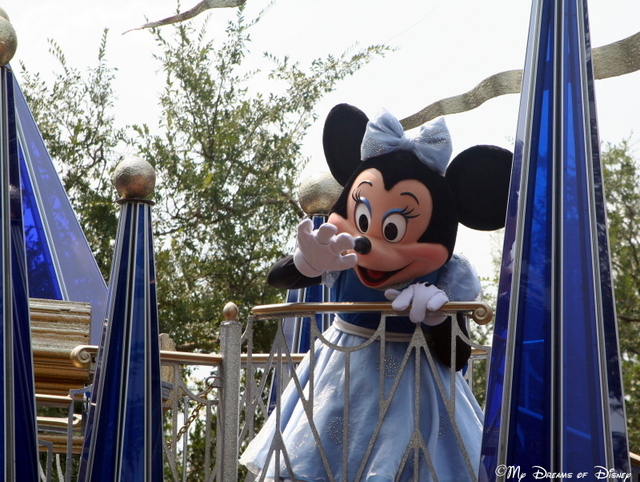 At the start is Minnie Mouse — in what I think is one of her best looks — waving at the crowd during one of the afternoon parades several years ago. 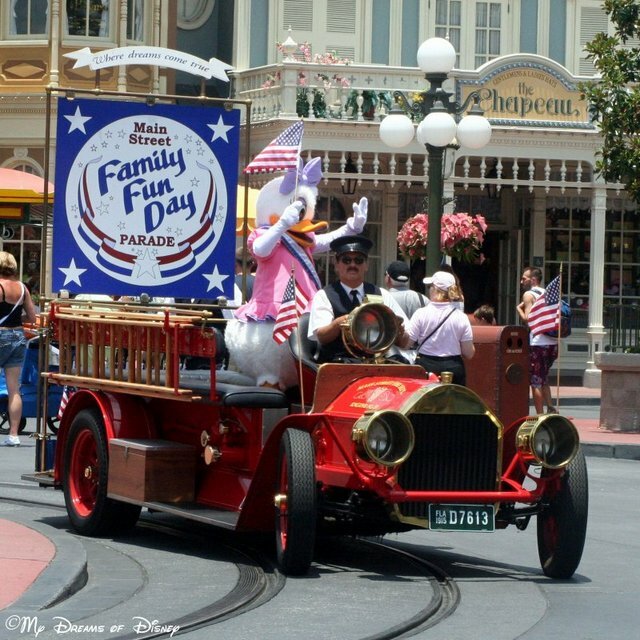 Daisy is the highlight of this parade — the Family Fun Day Parade – that we saw way back in 2008! 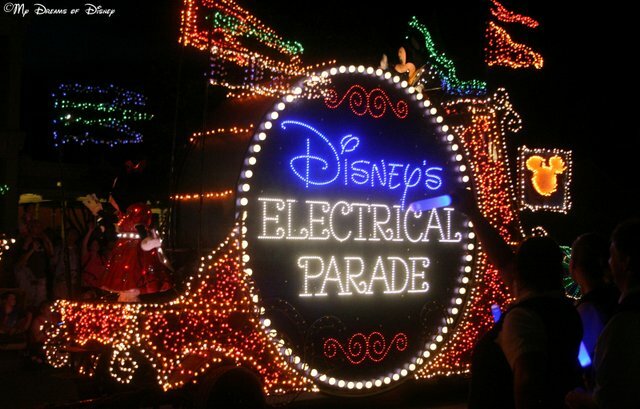 Of course, my favorite nighttime parade is the Main Street Electrical Parade! Last but certainly not least, the special parade they had at the 40th Anniversary celebration was incredible! I hope that you have all liked these special parade photos I selected for you! Now, please go take a look at the rest of the entries by clicking on the button below, and have a great day! Love the Family Fun Day Parade photo. I never had a chance to see it. They do amazing with those parades! Always fun when a special character ways at you. Great photos! Mike the are great shots, love the way you’ve captured them perfectly without people in your way. Way to bring the celebration to life! I love a parade! MSEP is my absolute favorite! Great shots! I love parades! Great photos! Great collection of parade pictures! I love the 40th Anniversary shot. That was a perfect spot for photographing the parade! I am obsessed with the parades. Something about them is so special! Great photos! Previous Post: Let’s Take a Virtual Disney Tour!